Biographies of Interesting People JJ Heath-Caldwell Ancestors Relatives Family Friends mainly English. Back in the year 2000 I thought it might be interesting to set up a family history website. I have for quite a few years been slowly building up a considerable archive of information on many of my ancestors and so publishing on the web seemed an ideal way to make this information more freely available to anyone else who may have an interest. In addition I was keen to learn a bit about how websites are constructed and published. Setting up this website was an ideal way to achieve all of these objectives. In its early stages the home page consisted of a list of ancestors and linked to this was a number of separate pages giving biographies of some of these people. The site has steadily grown over the years as more information has come to light and as time has allowed. In addition to the ancestors, I have been steadily adding pages for their relatives and supplementary pages containing general notes on the places where they lived, their friends and any other information that I felt might be of interest. If you have any comments to make or if you have any additional information regarding any of the people listed, please feel free to contact me on jj@jjhc.info . In particular help is needed to transcribe a large number of family diaries and letters. If you would be interested in helping with this project please contact me. The following list, is in three parts. The first part is a list of ancestors and their relatives. The second part, which is towards the bottom of this page, is a list of associated information (friends, estates, letters, diaries, library lists, portraits ...). The third part at the bottom of the page is a list of bookplates. In some cases I know very little about these individuals except for the odd obscure reference to their existence gleaned from documents here and there. In a small number of cases I have been lucky enough to have found quite a considerable amount of information and where possible I have listed what I think may be of interest to other people (click on names for more information, if high-lighted). My intention is to gradually add to the following list as more information becomes available (and as time permits). I have also included some information about the family estate of Linley Wood (Talke, Staffordshire) which was lived in by the Caldwell family from about 1790 through to 1949 when the whole estate was sold and the contents dispersed. 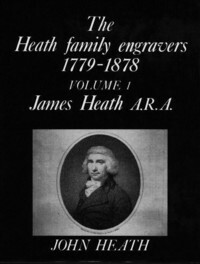 If you are visiting this website for the first time, may I suggest that, from the following list, you consider clicking on James Heath the Engraver or Anne Marsh Caldwell the Author or James Caldwell of Linley Wood. Good luck. Who am I? For a very brief overview please click JJ Heath-Caldwell. Aldgitha daughter of Uchtred Earl of Northumberland, Scotland, 10??-10?? William Alpe of Little Dunham, late 1400s -1530? Alice Alpe of Little Dunham, late 1400s - early 1500s. Thomas Alpe early 1500s to late 1500s. William Alpe of Dunham, mid 1500s - 1613? Mary Alpe, of Dunham, mid 1500s - early 1600s. Richard Alpe of Narford, Yeoman, late 1500s - 1645? Ann Alpe of Narford, late 1500s - mid 1600s. Robert Alpe of Fransham Parva, early 1600s - mid 1600s. 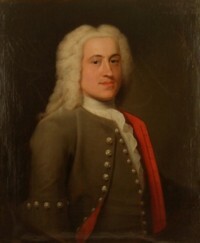 Thomas Bentley, partner of Josiah Wedgwood, 1730-1780. 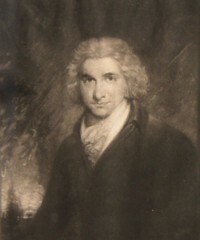 The Thomas Bentley Portrait. Charlotte Blake-Humphrey nee Harvey, 1809-188? Mary Brentnall (nee Crompton) 1653-???? Mathew Brisbane, Church Minister, 1594?-1650? Robina Brisbane (nee Lindsay), 16??-16?? Helen Brisbane (nee Napier), 16??-1675? Edward Bodham, Swaffham, Norfolk, 16??-17?? Susanna Bodham, Swaffham, Norfolk, 16??-17?? Alexander Earl of Buchan 12??-???? Crinan the Thane, Scotland, 966?-10?? Maldred, son of Crinan the Thane, Scotland, 1004-1066? James Crompton, of Brightmet, Bolton-Lee-Moors, Lancaster, 1554?-1600? Abraham Crompton, of Brightmet, Bolton-Lee-Moors, Lancaster, 1580?-1638? 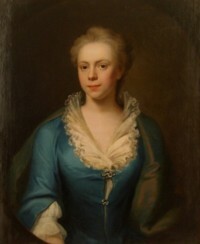 Elizabeth Crompton (nee Fox), Derby, 1718?-1789? Philip Crowe Hartley House, Coulsdon, Surrey, 1779-1831. Diary of Philip Crowe, India 1799-1812. Hartley House, Coulsdon. John Cuthbert of Castlehill (Castle Hill) Inverness, 1668?-17??. Paintings of Mr & Mrs John Cuthbert. Alexander Cuthbert of Old Burlington Street, Middlesex,1741?-1813? Harriet Dollman (nee Heath), 1789-18?? Gospatric the 1st Earl, Dunbar, Scotland, 1037-1100? Gospatricus comes frater Dolfini, 2nd Earl, Dunbar, Scotland, 1070?-113? Waltheuus 4th Earl, Dunbar, Scotland, 1131?-1180? Patricius de Dunbar comes Marchie Earl of March & Moray, Dunbar, Scotland, 1284-13?? Anges Dunbar (nee Ranulph) (Black Agnes), Dunbar, Scotland128?-13?? John Dunbar Earl of Murray,1330?-1393ish? Maude Dunbar (nee Fraser), Frendraught, 13??-14?? 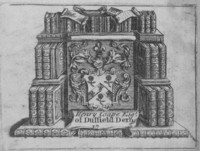 Sir Alexander Dunbar, Westfield, Morayshire, MP, 1425-1497? Isabel Dunbar (nee Innes), Frendraught, 14??-14?? Janet Dunbar (nee Rose), Durris, 15??-15?? Isabella Dunbar (nee Falconer), Durris, 15??-16?? Margery Dunbar (nee Seton), Kirkhill, St Andrew's Parish, Dunkinty Estate, 16??-16?? Marion Dunbar (nee Ogilvy), Grangehill, 16??-16?? John Dunbar, Kinkorth, Tutor of Grangehill, 16??-17?? Mary Dunbar (nee Urquhart), Kinkarth, 16??-17?? Robert Dunbar, Ballinspink, Fordyce Parish, Banfshire, Church Minister of Dyke, 170?-17?? Jean Dunbar (nee Miller), Ballinspink, Fordyce Parish, Banfshire, 17??-17?? Mary Duval (nee Marsh), 1712-17?? 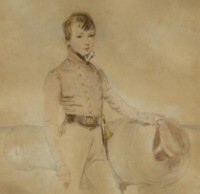 Sir Alexander Falconer, Halkerton, 15??-15?? Thomas Forby, Stoke Ferry, Norfolk early 1700s to late 1700s. 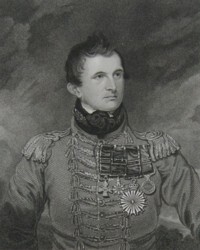 Col George Edward Graham (later Foster Pigott) died 1831? Mary Moore Marjoribanks Hall (nee Heath), 1894-19?? Caroline Hamilton (nee Heath), 1784-18?? 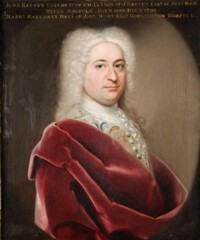 Robert Harvey, Hilborough, Norfolk, 1668? or 1664?-1740? Joseph Heath (senior), Long Row, Nottingham, Book Seller, 16??-177? Mary Heath (Mrs Jacob), Newgate Street, London, 17??-17?? 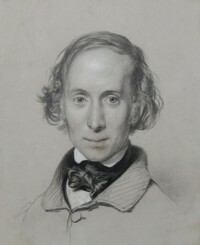 George Heath, Kitlands, Holmwood, Surrey and 34 Montague Place, Russel Square, London, Lawyer, 1779-1852, France Journal. 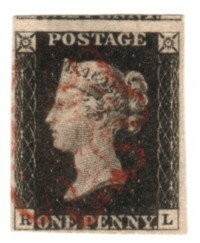 Charles Heath, London, Engraver, 1785-1848 Perkins Bacon & Co (printers of early postage stamps and bank notes), Pleasures of Hope, First bank note. Rev Dunbar Isidore Heath, Brading, Isle of Wight, Esher, Surrey 1816-1888. 'Exodus Papyri' by Heath. Burder verse Heath. 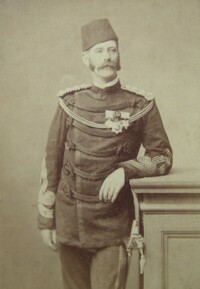 Admiral Sir Leopold George Heath KCB, RN, Anstie Grange, Holmwood, Surrey, 1817-1907. Hong Kong Harbour as seen from the Anchorage, drawn by LG Heath of HMS Iris, 1846. Rev Capt Cuthbert Helsham Heath-Caldwell RN DSC, 1889-1979. Letters and notes of Cuthbert Helsham Heath-Caldwell Diary of Cuthbert Helsham Heath-Caldwell. Jane Hendersion nee Figgins, 17??-18?? Caroline Hutton (nee Crompton), 1793-???? Amelia Alicia Anne Isaac, 1849-19?? Margaret Bride Johnson (nee Heath), born 1903. John Jones of Kington, Hereford 17??-1768. Elizabeth Jones (nee Helsham), Woodbridge, Suffolk, 1801-1866. Diary of Elizabeth Jones, Fincham, Swaffham, Stoke Ferry in Norfolk, Coulsdon in Surrey, Bath in Avon. Sarah Klinkowstrom (1772?-1838, nee Cuthbert, Brooke) of England, Italy, Sweden, Finaland. Mary Long (nee Mead), 16??-17?? Mary Maltby nee Harvey, 17??-18?? William Atte Mershe (Marsh), of Marton in East Langdon, Kent, 1380ish-14?? Thomas Marsh, of East Langdon, Kent, 14??-15?? 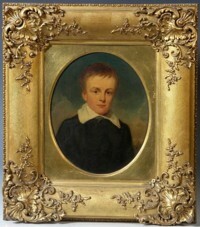 William Marsh, of East Langdon, Kent, 14??-15?? John Marsh the elder, of East Langdon, Kent, 14??-1545? Francis Marsh, of East Langdon and later of Sandwich, 1581-1656? Francis Marsh MA, Perpetual Curate of Guston, near Dover, Kent. Curate of River and Lydden, 1614-16?? Francis Marsh, of Titchfield, Hampshire, 1643-17?? George Marsh, of Chatham and Sheerness Dockyards, Kent, 1683-17?? Katharine Marsh, of Rochester Kent, 17??-1801? 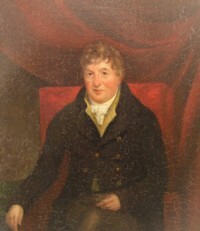 John Marsh, Commissioner, Comptroller and Chairman of the Victualling Board, 1747-1823. Diary 1800. William Marsh, Banker, 1755-1846. Letters of William Marsh, Diary of William Marsh for 1823-24. 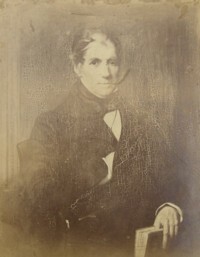 George Augustus Eliott Marsh MA, Rector of Bangor Iscoed Monachorum, 1790-1867. Bible of Rev George Augustus Eliott Marsh. Eliza Louisa Marsh Caldwell, Linley Wood, Talk, Staffordshire, 1818-1913. Diary of Elisa Lousia Marsh-Caldwell. John Augustus Milbourne Marsh, Magistrate in Sydney, Australia, 1820-1891. 1838 1840, 1844, 1845, 1846, 1847, 1847b, 1848, 1851, 1859, 1873, 1885, 1888, 1889, 1889b. Diary Lady Mary Anne Meek nee Grant. Elizabeth Morrison (nee Duval), 17??-18?? Robina Morthland (nee Brisbane), 16??-16?? Mathew Morthland, Rhindmuir, Old Monkland, Lanark, North Britain, Lawyer, 17??-17?? 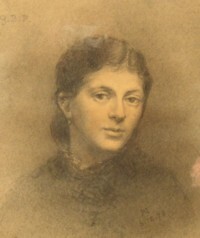 Agnes Napier (nee Chisholm), 15??-16?? Thomas Montgomery Palmer, Ireland, 1823-???? Vice Admiral Alexander Robinson Palmer 1879-19?? Sir Thomas Ranulph Earl of Moray, 12??-13?? Charles Raynsford of Rio De Janeiro, 17??-18?? Catherine Rose (nee Falconer), Kilravock, 15??-15?? 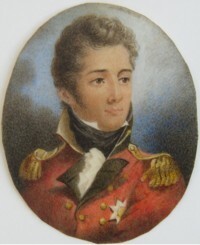 Sir William Seton, Pitmedden, 16??-16?? John Stamford (or Thomas Stamford), Derby, 1690ish-17?? Francis Lucy Wise nee Marsh, of Australia, 1819?-1889 Diary of George Foster Wise (1814-1897). Miniature portrait of two young girls by an artist painter G Conjugi R. Who was G Conjugi? Who was Major MacBeen of Jamaica ? This website is sponsored by Local Surveyors Direct the property services price comparision website (also Local Electricians Direct Local Architects Direct Local Conveyancing Direct). House buyers requiring a Building Survey, Homebuyer Report or Valuation can visit the website, enter their property details and instantly obtain a list of estimates from Chartered Building Surveyors. Set of estimates for Conveyancing are also listed and contact details for Mortgage Brokers. Home sellers can obtain quotes for Energy Performance Certificates (EPC) from Domestic Energy Assessors. Landlords and Tenants can obtain quotes for Rent Reviews, Lease Renewals, Schedules of Condition and Dilapidation. Also listed are Commercial EPCs, Party Wall Awards, Boundary Disputes, Planning Permission Applications, Building Regulations Consultancy, Historic Buildings, Architects, Structural Inspections and Structural Design Calculations from Structural Engineers, Asbestos Surveys, Aboricultural Reports on Trees, CCTV Drainage Surveys from Drains Contractors, Electrical Reports from Electricans etc.